I made the following two videos a while ago, but have only just managed to upload them since moving into my new flat. They should go some way towards making sense of the situation I’ve found myself in in Jerusalem. I’ve been using simples diagrams to explore and define the spatial and social assemblage in my project – this should help me make some decisions about exactly how people use various spaces and for what reasons, which will help me interrogate the plans I produced earlier. Ive become interested in diagramming as a way to make complex information more explicit…this interest was sparked by Ted Cullinan‘s lecture style, witnessed at Studio In The Woods as he sketched loosely onto to acetate projected via OHP onto a barn wall as he spoke. 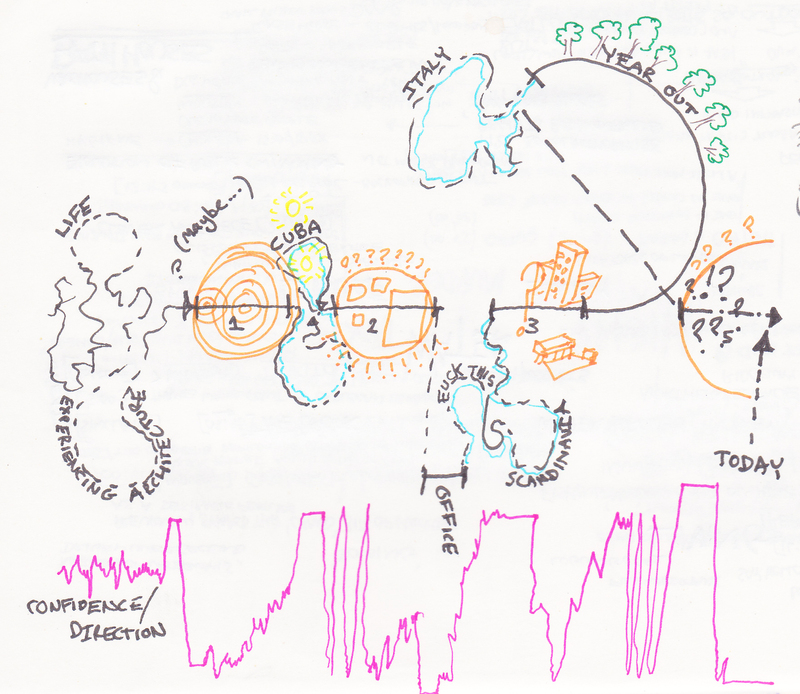 More recently, Satwinder Samra at the Sheffield School of Architecture uses slightly more considered diagrams, which although pre-planned, are sketched ‘live’ as he talks to illustrate the content of his lectures.